1- Change your profile photo between 28-30 June, or at least on 29 June 2013. 2- Facebook added hashtags; post the photos and share them using the hashtags #SyrianLGBTIPride #Syria #LGBT, use those hashtags onTwitter and Instagram as well. 3- Start using the hashtags as soon as possible. 4- Tell your friends. LGBTI Syrians need support. 5- If you’re Syrian and going on a Pride hold a banner saying “I support LGBTQI rights in Syria”, take a photo of it and send it to mawale7@gmail.com . You don’t have to show your face on the photo, but please make sure that it shows the surroundings. 6- If you’re not a Syrian and want to support us on a pride, please hold a banner with “I support LGBTQI rights in Syria”, take a photo, and send it to mawale7@gmail.com. You don’t have to show your face on the photo, but please make sure that it shows the surroundings. To download the photos, click here. It will direct you to an Arabic post where all the photos are uploaded in good resolution. 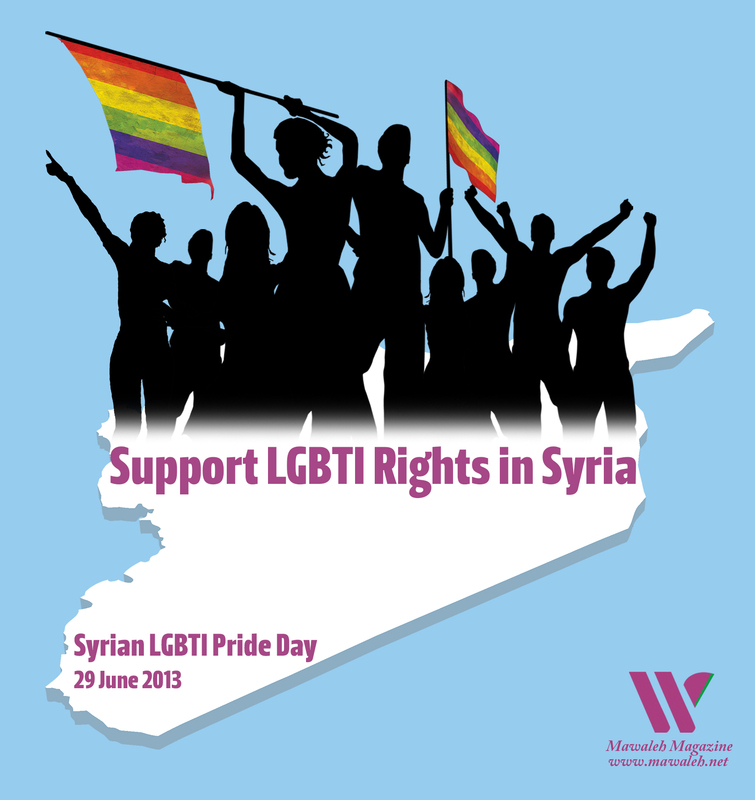 Thanks for supporting Syrian LGBTI’s Rights cause.